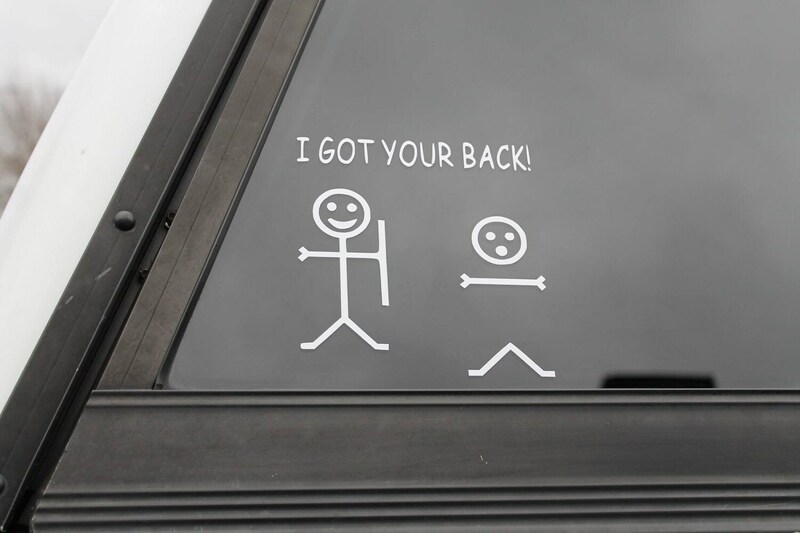 Funny stick figure decal "I've got your back"- Will get plenty of laughs. A top seller at our festivals. Long-lasting, weather resistant outdoor vinyl. Easy to apply. Application instructions will be included. Love it! ❤️❤️ Great communication and shipping time.